do you have a github username? to continue there the conversation if is it necesary to ask you something. Thanks for the comprehensive info, Steve! The metadata looks like is a collage of different vocabularies. maybe @SteelWagstaff @sswettenham @bryan @brad maybe we could to choose just one, to finish and in the future to extend with more vocabularies. In order to be more oganiced. other question, do ZOTERO will work with citations of Google schoolar too? How can I check if it works? 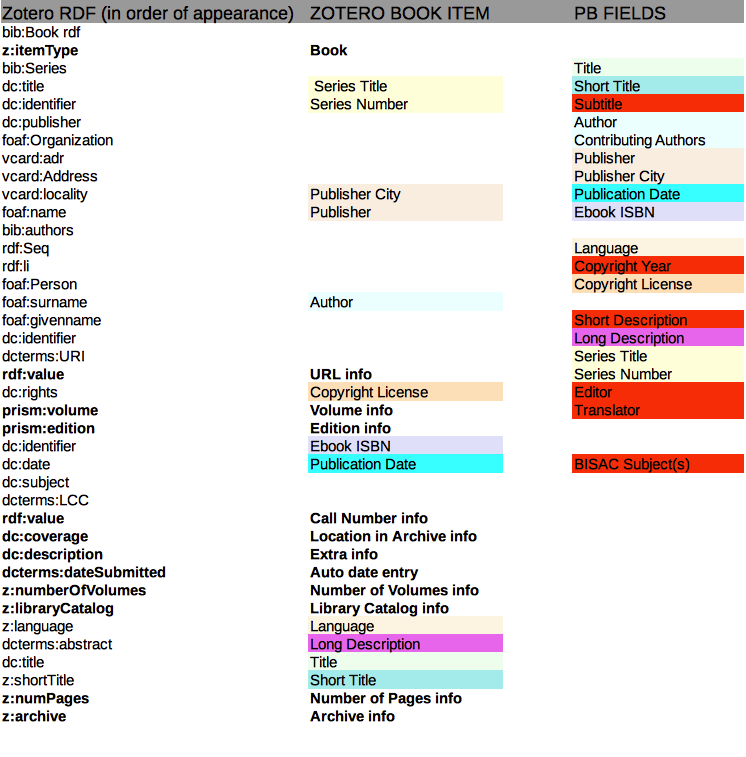 Install Zotero standalone (https://www.zotero.org/download/) then try to add a citation from a web browser. You will note that some websites have nothing other than generic save to Zotero (meaning no bibliographic metadata), or will have bibliographic metadata that is saved to Zotero.